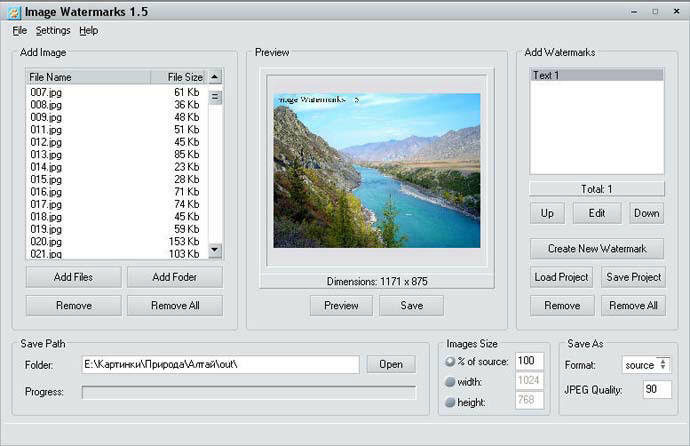 Program for batch image watermarks creation. And also for converting, resizing and editing images. You can protect your images with a watermarks. Create watermarks on your favorite images (pictures, photos, documents). Add text or image watermarks with different options (size, color, position, opacity). Select size and type of created image. Load and save your watermark projects.